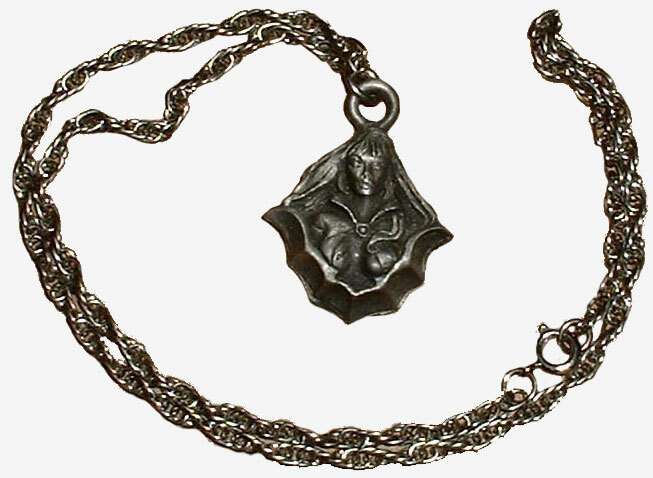 "You are looking at a pewter finished Vampirella necklace. 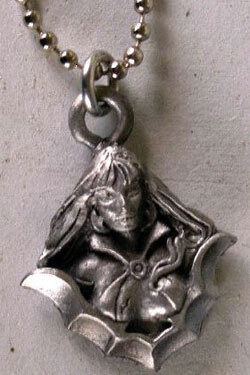 "This 1 1/2" tall Vampy comes on an 18" bead chain necklace (partially shown). "This piece is in new condition and has never been worn." An interesting item that crops up now and again on eBay. The detail is quite good, right down to the bat mark on her right breast. This is definitely a Warren era Vampirella. Another eBay special. 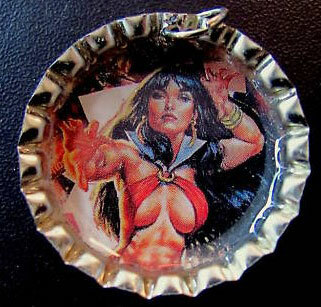 An enterprising seller is (I presume) recycling bottle tops and using resin to affix pictures inside the cleaned out cap. Complete with an inexpensive but adequate chain, it's not what I'd wear out of an evening but it is quite a nice novelty item.